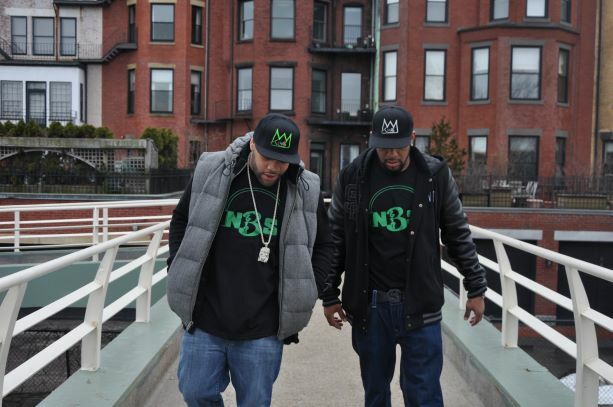 Boston rap duo N.B.S. (Natural Born Spitters) are very excited to be back in Malaysia for the second time. Catch N.B.S. perform alongside local artists Lawalah Familia, Ruffneck Clique, Karmal and G Town Guerillaz on the Lawalah Vets Tour. N.B.S. (Natural Born Spitters) is a hip-hip duo comprised of cousins E’Flash and V Knuckles. The duo have been pursuing their musical dreams since they were teenagers. Though related, and have similar experiences, their lyrical styles are contrasting yet harmonious. With influences such as Kool G Rap and Nas, V Knuckles’ flow adds a raw, witty, energetic element to complement the smoother and calmer style of E’Flash. Together, according to DJ Dow Jones of Night Life Types DJs/ Shadyville DJs/ Coast to Coast All-star DJs, “they are true vets in the game when it comes to business, writing, and performing. Formula for guaranteed success.” They display verbal excellence over hard beats with compelling melody. N.B.S. has released countless albums and mixtapes since their inception in the late 90’s such as The Prelude (released in 2010), SwissVets (2013), BudaVets (2014), SwissVets 2 (2018), and Lawalah Vets (2018). N.B.S. is known for collaborating with rap artists and producers from Hungary, Switzerland, Germany and now Malaysia. 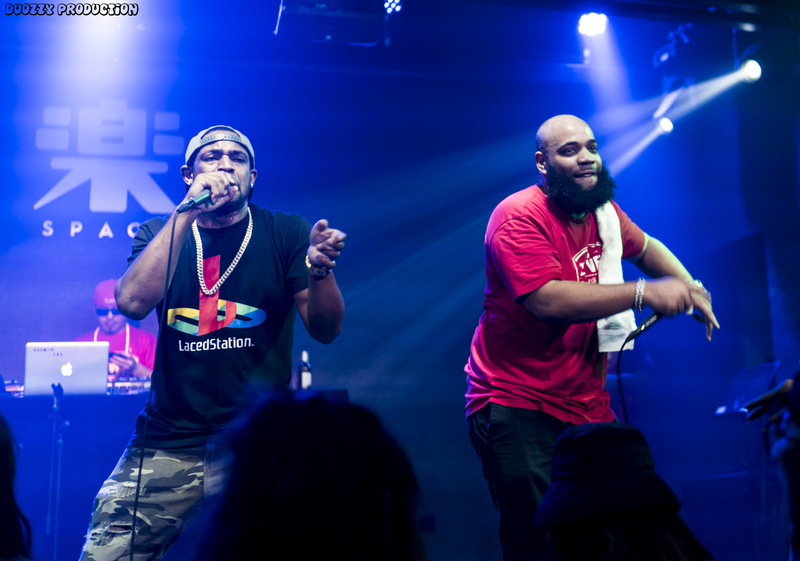 Their most essential album, Trapped in America (2015), received international attention and was featured prominently in The Source magazine and The Boston Globe. For Trapped In America, N.B.S. teamed up with veteran production team The Snowgoons from Germany. The album masterfully strides the line between consciousness and consequence, lending a voice to the experiences of young black men in America. N.B.S. has performed all over the world including the US, UK, France, Switzerland, Germany, Russia, China, Japan, Colombia and Ghana. They have toured together with legendary names in hip-hop such as Onyx, Mobb Deep and Planet Asia. About a year ago, N.B.S. performed in Malaysia for the first time at the Hip-Hop Kings Festivals in September 2017. Last year’s Hip-Hop Kings Festivals Selangor and Penang were held at Playspace in Damansara Perdana and Soundmaker Studio in Georgetown, with N.B.S. billed as the headliners of both concerts. Their high energy live show made a lasting impression on Malaysian audiences, leaving their fans craving for more of what the duo brings to the the rap game. Requests for N.B.S. to return to Malaysia were made throughout 2018. Now Malaysian hip-hop fans can look forward to enjoying authentic, raw, real rap by Boston’s finest emcees this October. N.B.S. aims to broaden links between hip-hop culture in Asia and America. 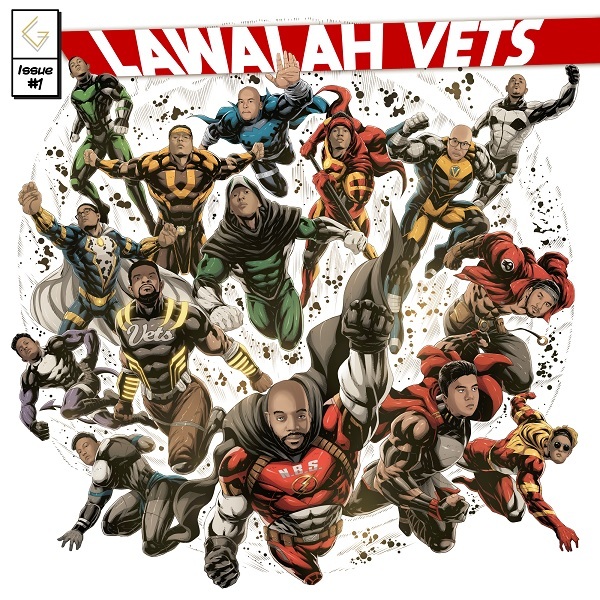 Unity through hip-hop is Lawalah Vets’ mission. The Lawalah Vets Tour is brought to you by Goldensound. The Penang Edition of the Lawalah Vets Tour will be held at Soundmaker Studio, right by the historic Clan Jetties of Penang on Sunday, 14th October 2018. Doors open at 8pm. Tickets are RM 20 pre-sale and RM 30 at the door. 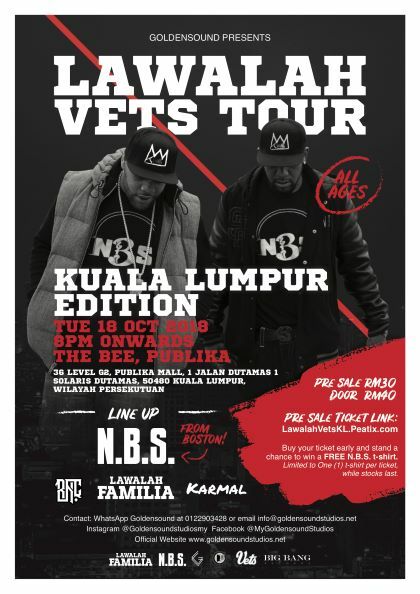 The Kuala Lumpur Edition of the Lawalah Vets Tour will be held at The Bee, located in Publika Mall on Tuesday, 16th October 2018. Doors open at 8pm. Tickets are RM 30 pre-sale and RM 40 at the door. All images courtesy of Golden Sound Studios. 10 Myths About Cancer: How True Are They?